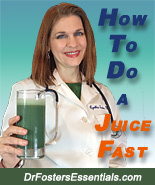 "Dr. Foster's Essentials," "StartTheHealing.com" and all logos, page headers, custom graphics and icons are trademarks and/or service marks owned by Cynthia Foster, MD. All other trademarks, product names, and company names and logos appearing on our Web Site are the property of their respective owners. Our Web Site contains information, data, software, photographs, graphics, videos, text, images, typefaces, sounds, and other material (collectively "Content") that are protected by copyrights, trademarks, or other proprietary rights, and these rights are valid and protected in all forms, media and technologies existing now or developed in the future. All Content is copyrighted as a collective work under the United States copyright laws, and we own a copyright in the selection, coordination, arrangement, and enhancement of such Content. You may not modify, remove, delete, augment, add to, publish, transmit, participate in the transfer or sale of, create derivative works from, or in any way exploit any of the Content, in whole or in part. All rights to such Content are reserved to their respective copyright owners. Permission is granted to electronically copy and to print in hard copy portions of this Web Site for the sole purpose of placing an order with www.StartTheHealing.com and/or www.DrFostersEssentials.com. Except as provided in the preceding sentence or as permitted by the fair use privilege under the United States copyright laws (see e.g. 17 U.S.C. Section 107), you may not upload, post, reproduce, or distribute in any way Content protected by copyright, or other proprietary right, without obtaining permission of the owner of the copyright or other proprietary right. Any other use of the Content on this Web Site, including reproduction for purposes other than as noted above, modification, distribution, replication, commercial or other use, without our prior written permission, is strictly prohibited. If you violate any of these terms, your permission to use the Content will automatically terminate and you must immediately destroy any copies you have of any portion of the Content. Under no circumstances shall we or any other party involved in creating, producing, or distributing our Web Site be liable for any direct, indirect, incidental, special or consequential damages or loss of profits, good will, use, data or other intangible losses (even if we have been advised of the possibility of such damages) that result from (i) any delay, failure, interruption or corruption of our Web Site or any data or information transmitted in connection with the use of this Web Site. (ii) personal injury or death caused by your use or misuse of our Web Site, (iii) the cost of procurement of substitute goods and services resulting from your use of any goods, data, information or services purchased or obtained or messages received or transactions entered into, through or from our Web Site (iv) unauthorized access to or alteration of your transmissions or data, (v) statements or conduct of any third party on our Web Site, or (vi) any other matter relating to our Web Site. You hereby acknowledge that this paragraph shall apply to all content, merchandise, and services available through our Web Site. We expressly disclaim all such representations and warranties, including, without limitation, all warranties of merchantability, accuracy, timeliness, completeness, fitness for a particular purpose and non-infringement to the fullest extent permitted by law. We do not warrant that our Web Site or files available on our Web Site will be free from corrupted data, computer viruses or similar destructive or contaminating code. No oral advice or written information provided by us or our affiliates shall create a warranty of any kind. Your use of this Web Site and any site linked to our Web Site is expressly at your own risk. You should always consult your physician and medical advisors before purchasing or using any products, services or information available on our Web Site. In addition, you should carefully read all information provided by the manufacturers of the products or in the product packaging and labels before using any product purchased from our Web Site. Information provided on this Web Site and the use of any products or services purchased from our web site by you DOES NOT constitute a doctor-patient relationship between you and any of the physicians affiliated with our Web Site. Information and statements regarding dietary supplements have not been evaluated by the Food and Drug Administration and are not intended to diagnose, treat, cure or prevent any disease. Because some states do not allow the exclusion or limitation of liability for consequential or incidental damages, in such states, liability is limited to the fullest extent permitted by law. Notwithstanding the above, our sole liability for any reason to you, and your sole and exclusive remedy for any cause or claim whatsoever, shall be limited to the amount paid by you for any product, information or service purchased by you from us through our Web Site.